The Railroad Museum operates scheduled train rides to and from the Ardenwood and Deer Park Stations on Thursdays, Fridays, and Sundays from the first weekend in April until the weekend before Thanksgiving. 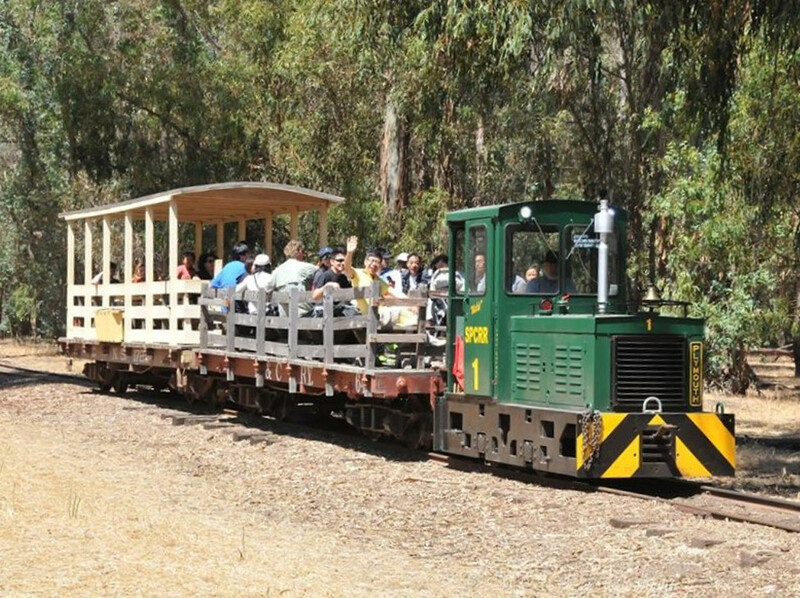 Trains also operate on days when Ardenwood Historic Farm Regional Park is having a special event. These include both the Museum's special events and EBRPD's special events like Harvest Festival and 4th of July. Every Labor Day weekend during the Museum's annual Rail Fair, the trains are pulled by visiting steam engines brought in for the event. Each Halloween the Museum runs it's popular Haunted Train evenings during the two weekends before Halloween. This 'spooktacular' event is geared towards families. The train ride will take you through the farm's fields and then through the North Woods of Ardenwood. At Deer Park Station a short walk will take you to the farmyard and the Patterson House or you can ride the train back (when space is available). We can accommodate 'wheeled' guests who cannot use the steps into the cars at each end of the public train using the ramp at Ardenwood Station and a wheelchair lift at Deer Park Station. Trains are pulled by one of our diesel switch locomotives using open air picnic cars converted from century old flatcars. 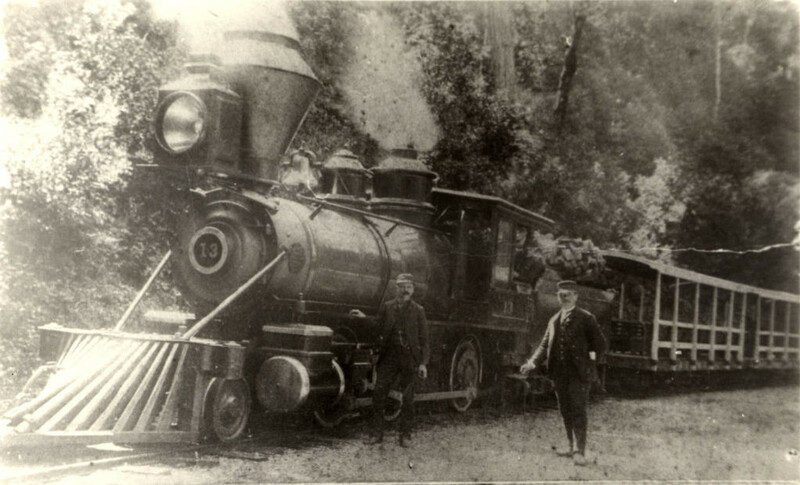 Picnic cars were historically used by 19th and early 20th century railroads to carry groups of tourists on excursions during the seasonal slack periods.